Lagos State Commissioner for Special Duties and Inter-Governmental Relations, Mr. Seye Oladejo has assured Lagosians that all relevant government agencies in charge of safety issues and emergency management would continue to work together to entrench safety culture and also respond swiftly to emergency issues in any part of the State. Oladejo listed the agencies to include Lagos State Safety Commission, Lagos State Emergency Management Agency, Fire Services Department, Lagos State Building Control Agency, Ministry of Physical Planning, amongst others. The Commissioner who spoke at a Two-Day retreat organized by the State Safety Commission with the theme: “Know Safety, No Pain” for Management Staff of the Commission at the Pearlwort Hotel, CBD, Alausa, reaffirmed the commitment of the present administration to make safety a lifestyle in Lagos. He commended the leadership of the State Safety Commission, saying that the leadership style of the Director-General, Mr. Hakeem Dickson has helped promote good working relationship among the staff. “It is my belief that platforms like this Retreat as well as the frequent capacity building will increase the productivity of the staff and make them better in service delivery”, Oladejo stated. 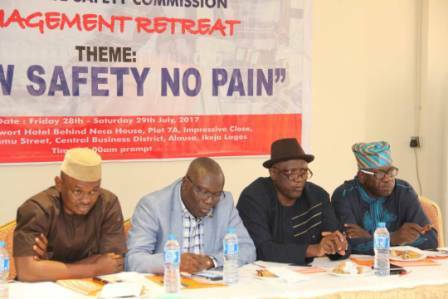 In his remarks, the Director-General, Lagos State Safety Commission, Mr. Hakeem Dickson disclosed that the retreat was designed to strategize, plan and review Safety policies in the State. 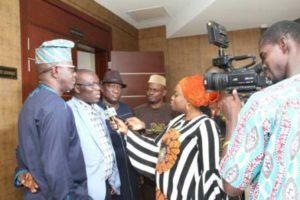 He added that participants would henceforth be more strategic in pursuing the Agency’s goals and objectives in line with the State’s vision of providing a safe, productive, functional and secure environment for the Citizens of Lagos State. “This retreat will also assist in repositioning officers for improved service delivery and effective working relationship with their superiors as well as the general public”, Dickson reiterated.